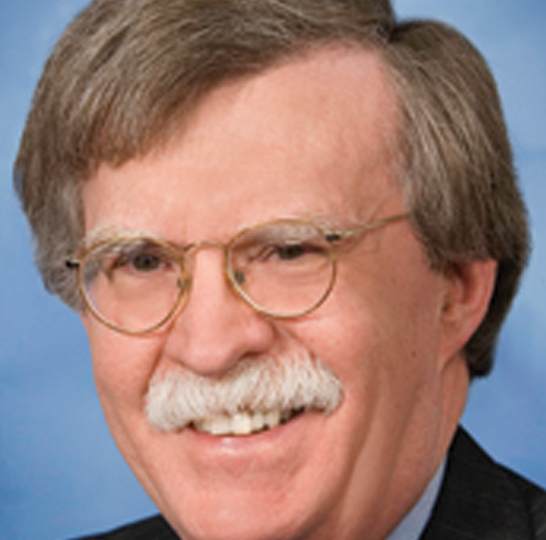 John Bolton is Senior Fellow at the American Enterprise Institute for Public Policy Research. His research areas of interest include foreign policy and international organizations. From August 2005 to December 2006, Ambassador Bolton served with great distinction as the United States Permanent Representative to the United Nations. Steadfast in his defense of American interests, he represented this country with extraordinary principle, clarity, and patriotism. From 2001 to 2005, Ambassador Bolton was Under Secretary of State for Arms Control and International Security. Prior to that, he had been Senior Vice President for Public Policy Research at the American Enterprise Institute since 1997. From 1989 to 1993, Ambassador Bolton was Assistant Secretary of State for International Organization Affairs. During the last half of the 1980s, he served in the Department of Justice as Assistant Attorney General in both the Civil Division and the Office of Legislative Affairs. From 1981 to 1983, Ambassador Bolton held the positions of General Counsel and Assistant Administrator for Program and Policy Coordination at the U.S. Agency for International Development. Ambassador Bolton’s exemplary public service also includes his membership from 1999 to 2001 on the United States Commission on International Religious Freedom, created by the International Religious Freedom Act of 1998 to advise the President and Secretary of State on foreign policy issues related to religious freedom abroad. In 2006, he was nominated for the Nobel Peace Prize for his efforts documenting Iran’s secret nuclear weapons program. Ambassador Bolton is the author of numerous journal articles and monographs on foreign policy, national security matters, and Constitutional law. His work has appeared in the popular press and in scholarly publications. Currently, he is writing a book entitled Surrender is Not an Option: Defending America at the U.N. and Abroad. Ambassador Bolton holds a B.A. from Yale University and a J.D. from Yale Law School.